It’s not your average tasting menu; AMPR clients are stepping outside of the expected luxury culinary offerings to provide guests with experiential, and often hands-on, foodie vacations. 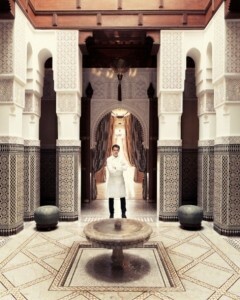 Yes, you can go to a Michelin-starred restaurant most anywhere, but can you shop souks with the chef? 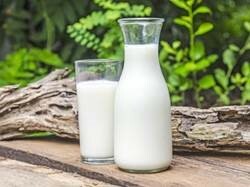 What about a hotel with its own dairy farm? 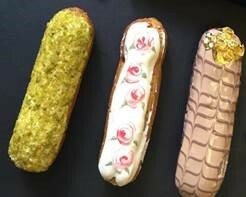 Ever hand-painted an éclair? And, what’s the best way to get kids to eat their veggies? Have them go farming with chef, of course. Keep reading for a selection of hands-on epicurean experiences, trends, “healthy” eating, and a few other noteworthy food happenings across the globe. At UXUA Casa Hotel & Spa in Trancoso Brazil, cocoa trees grow in the hotel’s garden. The cocoa pods are harvested on property and the beans are left to dry and ferment in the sun. Guests are invited to take part in the rest of the process and make their own chocolate with UXUA chefs who also use the fruits of their labor to create UXUA’s desserts and ice creams. Among the souks of Marrakech, Royal Mansour Michelin-starred Chef Yannick Alléno frequents the Jamaa el Fna marketplace for ingredients such as lemon confit from the Bab Ftouh stand and olive oil sourced from the nearby Atlas Mountains. Chef Alléno welcomes guests on his shopping trips. Eat (and Pick and Cook) Your Veggies! 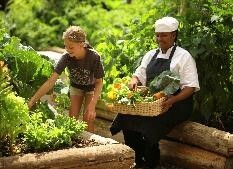 Children at andBeyond Kichwa Tembo join the chef in the organic vegetable garden and fill a basket with veggies of their choice. After, the chef works with them to create a custom lunch creation. Sugar Beach, A Viceroy Resort, offers guests the opportunity to meet, and fish with local fisherman in a simple row boat for local favorites such as: wahoo, dorado, and king fish. 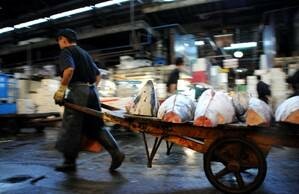 The days of the Tsukiji Fish Market are numbered as Tokyo plans to close the institution to build roads in support of Olympics 2020. At Park Hyatt Tokyo, Chef Angerer brings guests on private market tours, enabling them to skip the hour-long wait and experience the tuna auction. Guests will meet with the hotel’s fish suppliers who offer fresh-from-the-sea sashimi tasting. 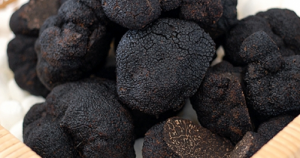 Belmond Afloat in France luxury barges take guests through the truffle fields of Burgundy to spend the afternoon hunting Périgords, the aromatic jewels of France. Then, back to the ship to enjoy their well-earned spoils, made-to-order. TOPPER’S at The Wauwinet serves ocean-to-table oysters – plucked from local Retsyo Oyster Farm. 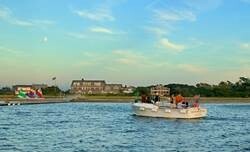 Guests enjoy a Bay Cruise led by island legend Captain Rob to see the oyster bed, learn about how they’re harvested, and receive a tutorial about how to properly shuck an oyster. Specialty éclairs are popping up on the menu of luxury hotels from New York to Barcelona. Park Hyatt hotels serve the confection with interesting flavor pairings worldwide, such as Pistachio and Cointreau in Paris. In New York, Pastry Chef Scott Cioe hand-paints his signature raspberry rose éclair and teaches éclair-making classes at the hotel. Majestic Hotel & Spa launched a new menu of éclairs for their Majestic Fashion Tea, inspired by the creations of Salvatore Ferragamo, Bulgari, Jimmy Choo, Rosa Clara, and more. The Perugia is Vanilla & Tonka Bean Mousse described to be as delicate as Brunello Cucinelli cashmere. B Cellars Vineyards & Winery in Napa Valley recently launched a wellness tasting experience. 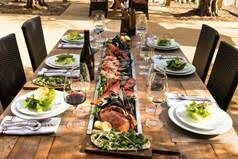 A three-mile hike through the vines is followed by a healthy “B-Bite” food and wine pairing comprising gluten-free, vegetarian, or vegan selections prepared in B Cellars open kitchen (an element not found in other wineries in Napa Valley). COMO Shambhala Cuisine from COMO Hotels and Resorts was created to boost concentration, balance blood-sugar levels, and encourage overall mental and physical wellbeing. 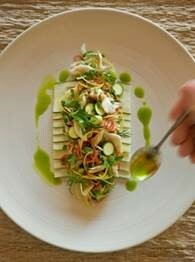 Food is described on the menu as “enzyme-rich” and is primarily raw and vegan. Dishes (such as: zucchini carpaccio; flax and walnut flat bread with cashew nut “hummus,” avocado, and tomato salad; and pineapple sundaes made with cashew nut milk and young coconut sorbet) are available at 12 COMO properties worldwide – including the new room service menu at the recently renovated Metropolitan by COMO, London. To guarantee the freshest and highest quality dairy products for guests, Nayara Springs created its own local dairy farm where all of the milk and cheese is sourced for the hotel’s restaurants. Chris Blackwell, the man who discovered U2 and Bob Marley, recently opened Pantrepant, his farmstead in west Jamaica to guests of Island Outpost resort group. 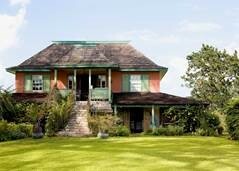 Visitors can stay in the two-bedroom guest cottage and have full access to the grounds – enjoying farm fresh dishes using just-picked callaloo and mangos, milking cows at the dairy, and plucking eggs from chickens. The fifth annual Flavor! Napa Valley wine and food festival will be held March 16-20, 2016. Participating chefs are all graduates of the historic Culinary Institute (CIA) of America. Area vintners will host wine-paired dinners at their wineries and top winemakers will lead wine tastings at the CIA California campus. Celebrity Chef Marcus Samuelsson recently opened his latest culinary endeavor, Marcus’ at Hamilton Princess & Beach Club Hotel in Bermuda. We hope these brief bites were enough to whet your palate!